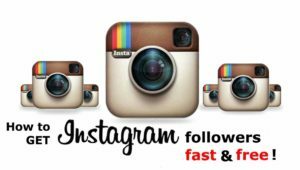 Home/Generic/Marketing/Boost your Instagram sales and followers – What’s the trick? Are you someone who has had a profile in Instagram but who is sick and tired of posting Instagram updates to the same 500 followers? If answered yes, then perhaps your Instagram sales has become stagnant or non-existent and you must be desperately looking for ways of bringing people of the world to increase the chances and possibilities of a sale. There are many among us who may have a profile in Instagram but we might not be able to gain the right number of followers for boosting sales. So, what are the solutions? Here are few tricks that you need to follow. What is the main thing that you think is competitive about your brand? Is your phone’s camera water-proof or is your food gluten-free or is your health drink sugar free? What is the USP of your product? Whatever feature makes your company stand out in the fierce competition is something which you should highlight when you write the Instagram bio and this is truer when you have the goal of multiplying your Instagram followers for new acquisition of customers. For instance, Beard King is a grooming company for men which has been made for men who have beards. The strategy adopted by this brand to increase followers is that they asked their present followers to tag a friend with beard! This strategy has worked wonders for Beard King. Firstly, it let them grow their Instagram followers pretty quickly through referral and it also helped them build a strong and sturdy content library. Everything of this was created through user-generated content. This brand allows the customers to send their personal pictures and if the quality of the picture is of good quality, they post it in their profile. One of the fastest ways in which a brand grows its Instagram following is by joining hands with an influencer. You would definitely want to choose someone who has an authentic and large following. You can just take a look at the engagement rate of the influencer and then seek his help. Engagement rates usually vary across different industries but they should at least be close to 2%. Evaluate your influencers by the percent calculator. It has been seen that product photos usually perform in a better way than lifestyle photos on Instagram. But that doesn’t mean that you will always have to post product photos! Well, great photos of products could be engaging for your present customers but you can attract new customers by sharing photos which are related to products. If yours is a hiking company, post photos of mountains as this will inspire the entire community and thereby increase your sales. Do you know what it is actually that attracts the new followers? It is promo codes! Majority of us tend to save money on good quality products which follow your company for discount coupons. This is particularly true when you’ve finished purchasing the products. As the posts of Instagram aren’t clickable, it is tough to say how many sales came from social media. But users can definitely click on your bio link and open your website directly in their web browser. So, now that you have got clear ideas on how to grow your Instagram followers, it’s high time you put them to practice. Don’t expect your followers to shoot up overnight. Have patience and be consistent with your posts.